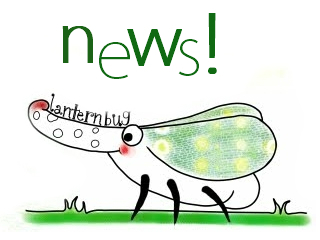 Lantern Bug: New projects on the go! New projects on the go! Hi there! Here's your favorite crafty bug full of exciting news! First, Lantern Bug's new collection is finally out: new bags, new pouches, new hair accessories - all 100% genuinely handmade, of course! If you want to make sure you don't miss anything out, take part to the facebook event: a new item will be released each every monday and you'll be right up-to-date! Then, Lantern Bug's building a fully new website, with lots of pictures, news&scoops and all you need to be up to date with Lantern Bug's world. Stay stitched to see what is yet to come! A bizarre tiny woman in love with the handmaking. Iscriviti a Lantern Bug - handmade crafts! Tema Viaggi. Immagini dei temi di gaffera. Powered by Blogger.